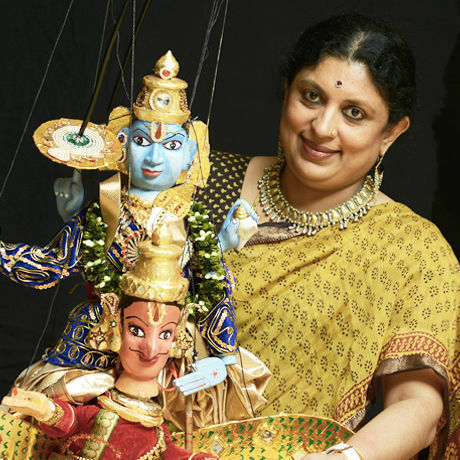 Anupama is the Director of Dhaatu Center, a leading and progressive puppet theater of India. She is committed to preserving, nurturing and spreading the positive and celebrating aspects of India’s ancient heritage, traditions and culture. All the work done by her is a concentrated effort towards this. Dhaatu was founded in 2004 with the aim of bring the great treasure trove of stories from the Ramayana & Mahabharata and the stories of our Great Sages, Kings and Thinkers to the people. Dhaatu specialises in the form of traditional puppetry and doll keeping to tell the stories. Members of Dhaatu are trained in traditional puppetry, dance and music. Dhaatu is a registered not for profit organisation. Anupama & Vidyashankar Hoskere are the founder directors of Dhaatu. A photo studio, an art gallery, a collab space, Dim & art theater, a workshop, DeFY studios truly defys a conventional studio space. It’s a 25ft wide, 62 ft long, 14ft high clear space in Indira Nagar and is easily accessible from all parts of the city by road and metro. It is equipped with Elinchrom Pro lighting & few games to help you defy the work stress.